Is it Time to Start Using Mitochondrial DNA Copy Number as an Indicator of Health and Diseases? Immuno-oncology: Is it a new hope for cancer patients? The uncontrolled growth of cells or its division, forming benign (stationary tumors) or malignant tumors (invading/spreading to nearby parts of the body) is called “cancer”. Cancer, the most researched topics in the scientific world owing to its instable treatment methods, is one of the most common reasons of mortality today. Molecular medicine on the other side is a broad field which includes physical, chemical, biological and medical techniques to portray the different molecular structures and its mechanisms. This topic has been shown its importance in the field of cancer to magnify the molecular-level dysfunctionalities during the cell cycle. 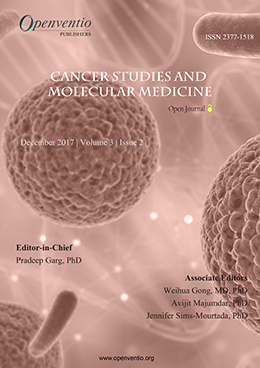 Therefore, to analyze and monitor the root cause of the molecular level malfunction, advanced diagnostic techniques have been developed for the management and treatment of cancer. Due to this, the scientists could identify and understand the factors of development of tumors at the cell cycle level and could make arrangements, controlled measures to avoid cancer. 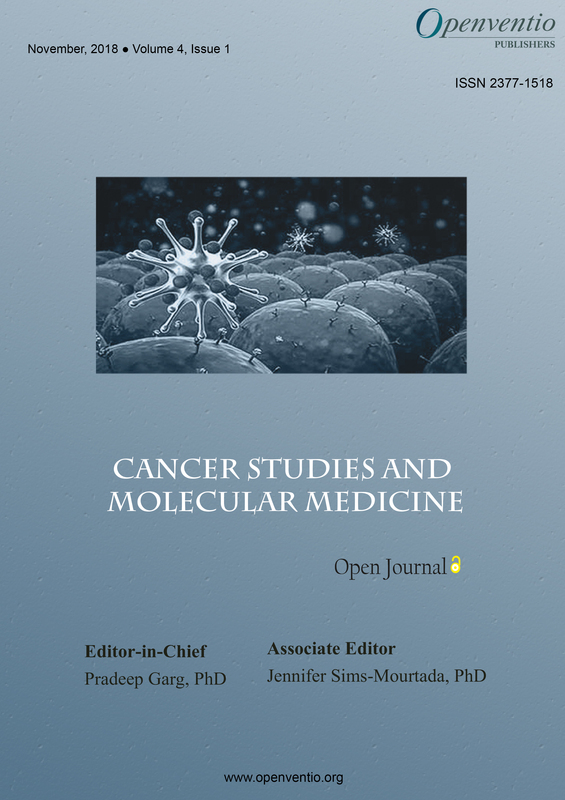 However, Openventio aims at the widespread dissemination of all the detailed matters related to cancer research and its treatment through its open journal to all the scientific community for its welfare. 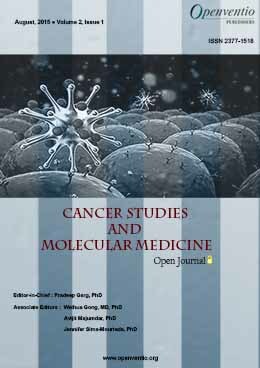 Cancer Studies and Molecular Medicine – Open Journal (CSMMOJ) is dedicated to the open dissemination and robust discussion of the conventional cancer studies to the latest molecular-level techniques to cure the disease. 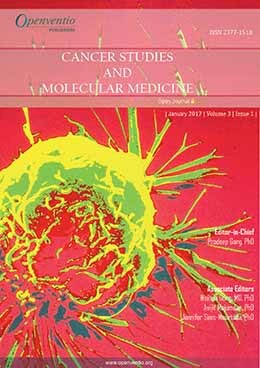 Submissions for this journal are accepted from the very basic cancer studies and medicine to the advancements in the field. 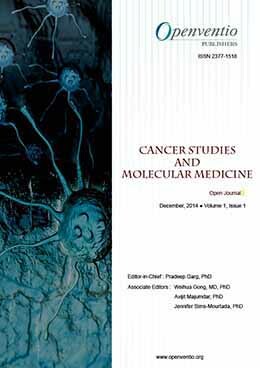 We encourage manuscript submissions from the field of basic cancer studies and medicine to advanced cancer studies for this journal. The audience of CSMMOJ includes medical oncologists, radiation oncologists, surgical oncologists, gynecological oncologists, pediatric oncologists, geriatric oncologists, hematology oncologists, pathologists, dermatologists, diagnostic radiologists, clinicians, pharmacologists, educators, researchers.